Like any other tree nuts, acorns have been widely regarded as an excellent food source due in part to its high nutritional value. An article on FatSecret.com has listed the known nutrients found in the acorn. Acorns are packed with essential minerals that improve the body’s overall health. The tree nut contains astringent properties that help protect the skin. Tannin-rich extracts from soaked or boiled acorns can be used to accelerate wound healing, reduce inflammation or burns, and treat aches and pains. Acorns are also loaded with dietary fiber that eases bowel movement, making it ideal for those who suffer from various stomach-related conditions such as diarrhea, constipation, and bloating as well as irregular bowel movement, cramping, and other gastrointestinal distress. Acorns are also found to regulate the body’s blood sugar levels, which proves beneficial in diabetes prevention. The rich fiber content and complex carbohydrates in acorns help prevent sudden upsurge in blood sugar levels. The tree nut is also an excellent source of healthy fats that may promote better heart health. Acorns are known to contain high levels of unsaturated fats, which prove helpful in cholesterol balance. Acorns are also found to prevent the onset of obesity, atherosclerosis, and other conditions associated with saturated fat consumption. The tree nut is also an excellent source of vitamin B complex that boosts the body’s metabolic status and overall health. The tree nuts are also found to contain high levels of minerals essential for bone health. 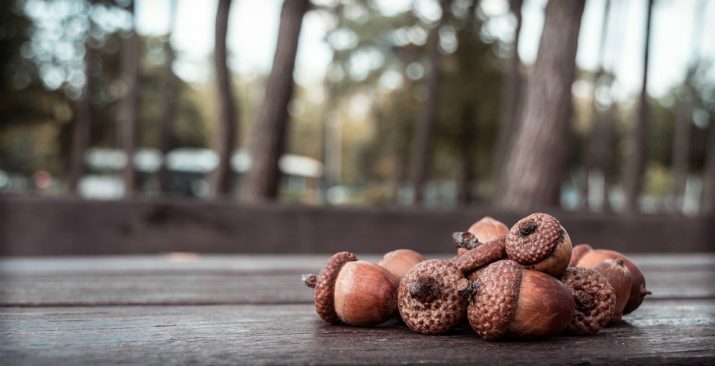 The minerals found in acorns have been noted to prevent the onset of osteoporosis. Acorns are also packed with calcium that boosts the body’s bone density. The tree nuts are known to contain high levels of protein that is vital in the creation of new tissues and cells. The high protein content in acorns also help speed up damage repair and healing. Acorns are also known to provide longer-lasting energy reserves when consumed. Acorns are known to benefit various parts of the body. Acorns contain astringent properties that promote healthy skin. The tree nut’s tannin content helps make the skin more supple and elastic. Acorns are also known to relieve rashes, burns and irritations, as well as speed up wound healing and curb inflammation. Acorn’s high fiber content is known to greatly benefit the digestive system as it addresses constipation, diarrhea and other gastrointestinal distresses such as bloating and cramping. The tree nut effectively regulates blood sugar levels, making it ideal for diabetes management. The tree nut’s rich B vitamin content was also found to regulate enzymatic processes in the body. Acorns are also significantly beneficial for the heart, as they promote a healthy cholesterol balance. The tree nut is also beneficial for the bones, the body’s metabolism and the overall health. Like many other tree nuts, acorns are rich in essential oils that can be extracted for cooking. In particular, red oak acorns have been used by the Algonquin Indians solely for oil extraction. Acorns may also be ground into flour to create various flour-based products such as breads and cakes. Acorns can also be used as coffee substitute. Tannin-rich water from soaked or boiled acorns can be used as an astringent. Acorns are packed with essential minerals that are important for the body’s overall health. Acorns can be used to treat gastrointestinal distress and prevent heart disease and diabetes. Acorns may also used to promote bone health. Acorns benefit the digestive system, the heart and the bones.